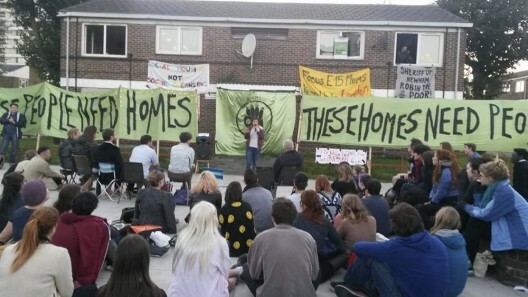 Young mothers who were evicted from a hostel called Focus E15 in September 2013 are occupying vacant council houses in East London. 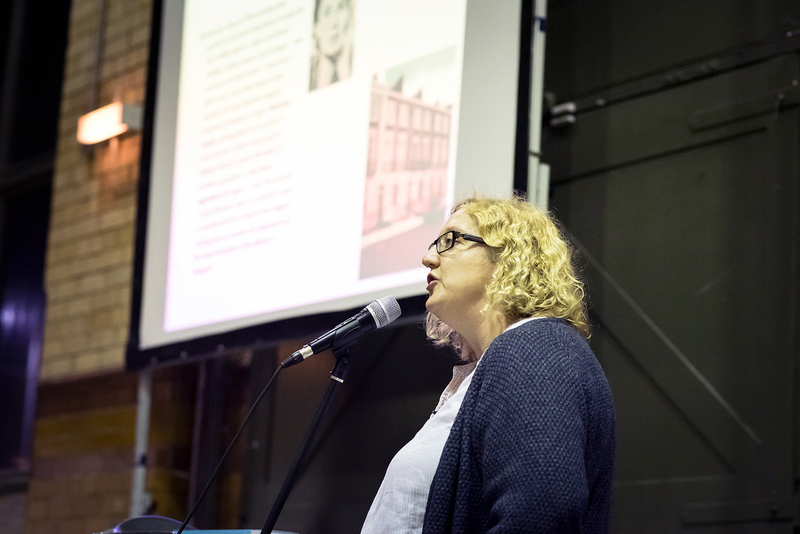 The mothers, who were told to look for accomodation on the private rental market in Manchester, Birmingham and Hastings, joined together to resist displacement and fight for “social housing not social cleansing”. The group will be holding an open meeting about the conditions of the estate (recently their water has been turned off) this Sunday 28th September. 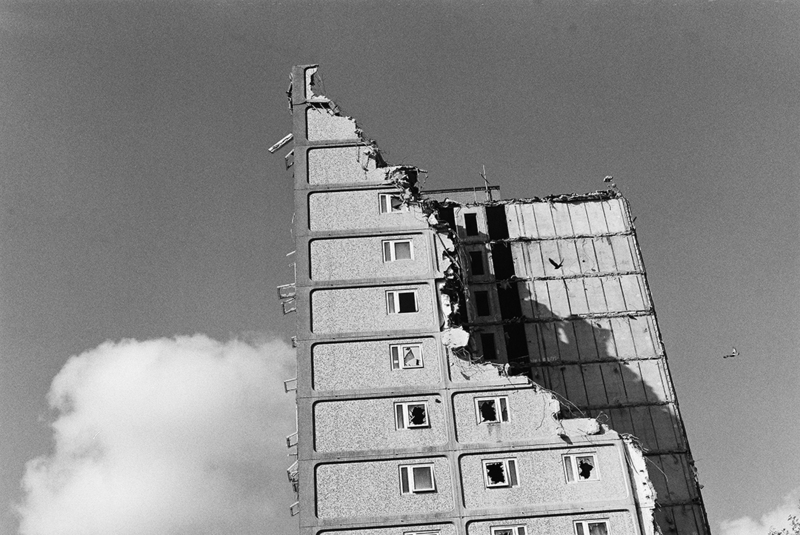 We have been thinking a lot about unbuilding as we observe the creative destruction of tower blocks in Salford (see the above photo by IUD on the ground). These demolitions are part of the first phase of a PFI driven gentrification project. 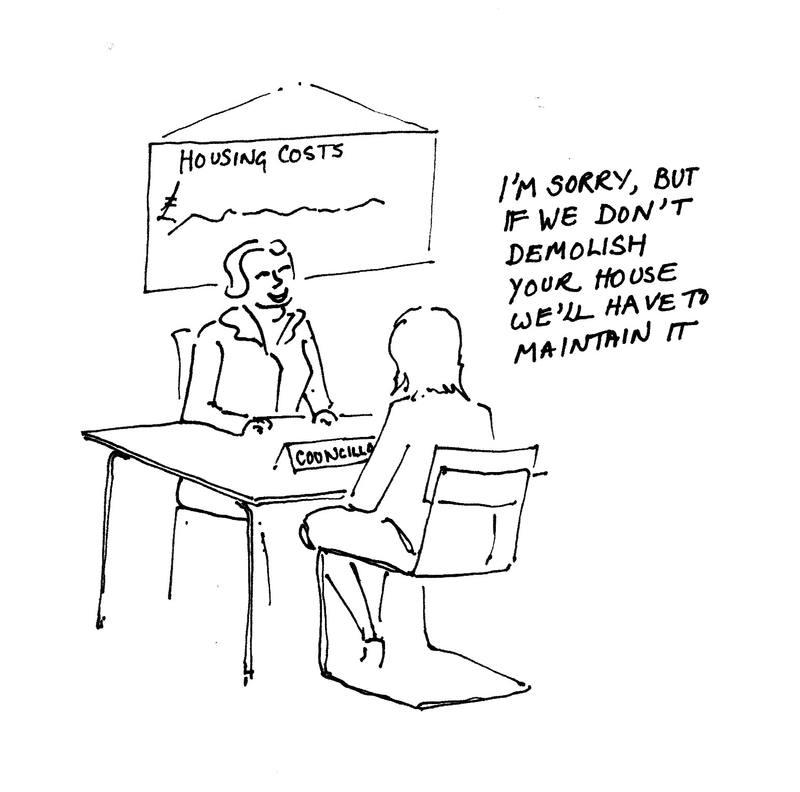 In this process many social housing tenants are evicted and their homes replaced with houses and flats for sale on the open market. 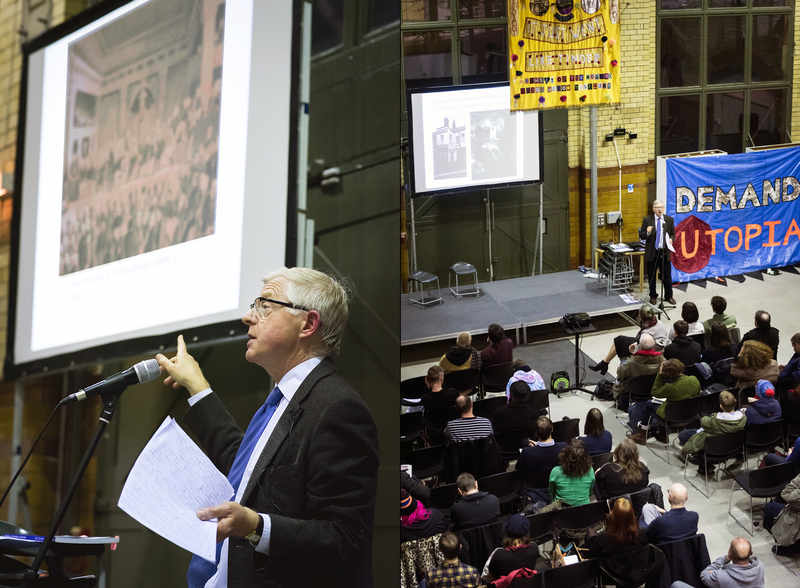 The demolition industry along with property developers, builders, finance companies and so on benefit from regeneration, which is not really about the provision of better homes but the redistibution of assets, from the poor to the rich. Demolition also functions at a symbolic level, as it rids us of unwanted architectural forms, in this case high rise social housing. The significance of this is not in some failure of the modernist architectural project but the destruction of viable homes and the displacement of the poor. Regeneration in this instance calls for the replacement of unwanted bodies with the healthy bodies of the rich who have money to spend and don’t rely so heavily on council services. In her book Where the Other Half Lives, Sarah Glynn says ” ‘regeneration’ sounds as though it could be a good thing, but it is being used as a Trojan horse for state-sponsored ‘accumulation by dispossession’ on a massive scale”(page 72). 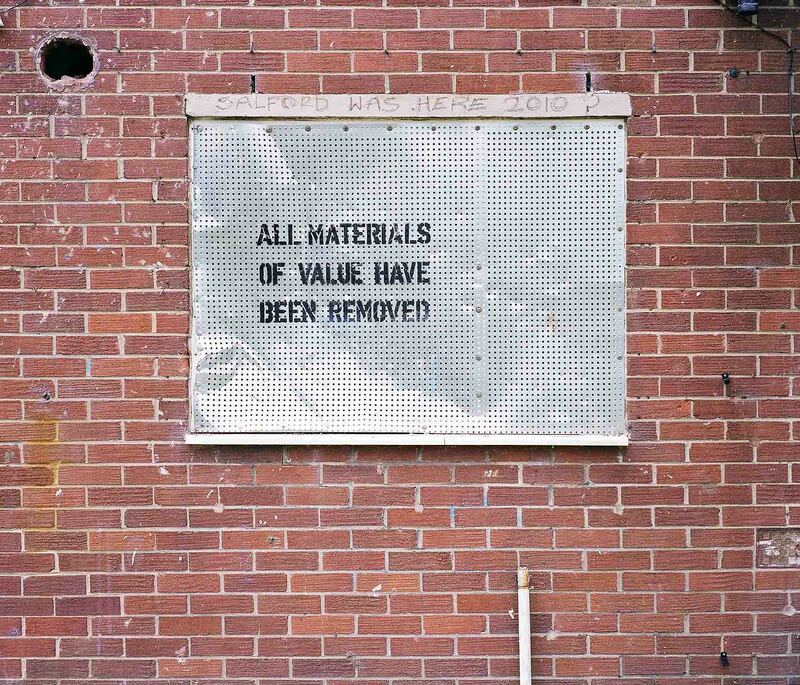 This is an ongoing selection of resources on unbuilding, rubble, demolition etc. Julian Rosefeldt and Piero Steinle made a video installation from archival sequences of demolitions called Detonation Deutschland. See the diptych above and more on Piero’s Steinle’s website. 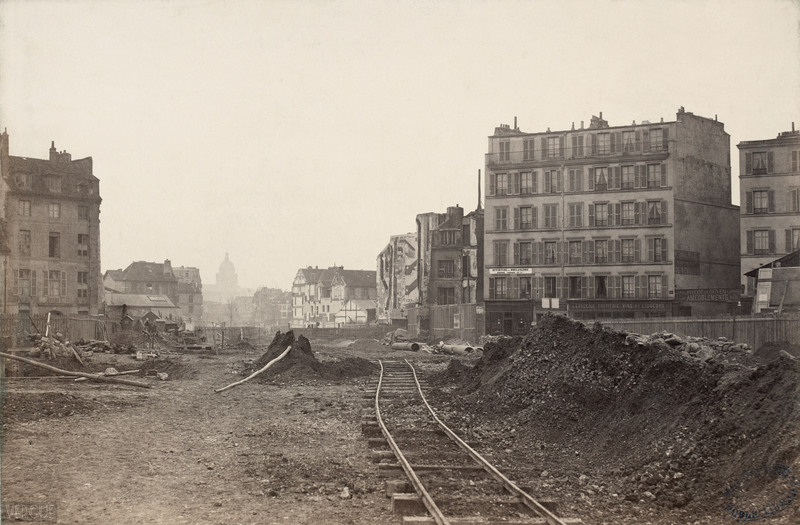 Boulevard Henri IV, Place de la Bastille, demolished section of Paris photographed by Charles Marville 1876. Photographs made by Charles Marville of the demolition of large sections of Paris by Baron Haussmann. Marville’s work is digitized in the collection of the Musee Carnavalet (search in French only). Rubble: unearthing the history of demolition, by Jeff Byles and published by Three Rivers Press is a well researched popular history of demolition. This is an academic paper, which explores the performative properties of asbestos in the demolition process: Inextinguishable fibres: demolition and the vital materialisms of asbestos by Nicky Gregson, Helen Watkins & Melania Calestani, published in Environment & Planning Journal 2010, volume 42.
therubbleclub.com: a club for architects whose creations have been intentionally destroyed during their life time. 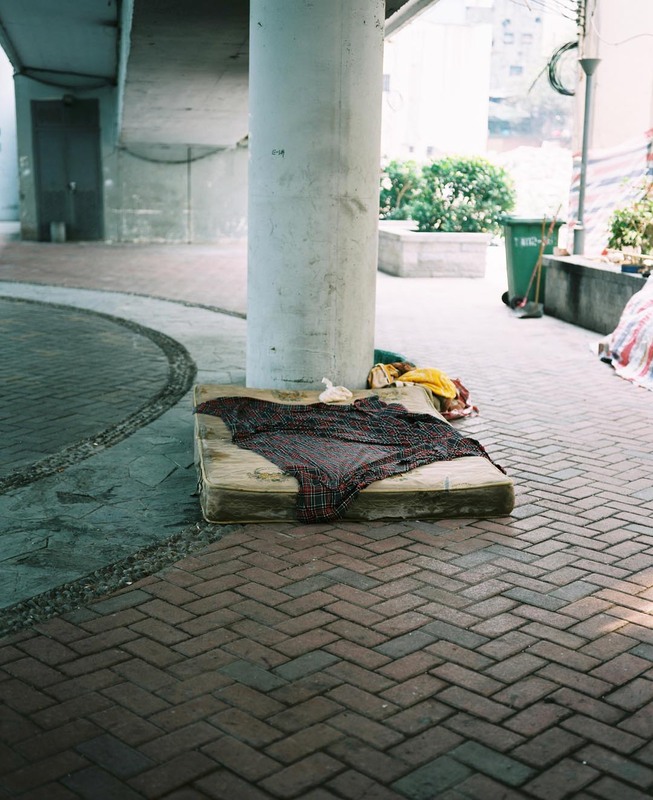 Sarah Glynn – Where the Other Half Lives 2009. New York: Pluto Press. 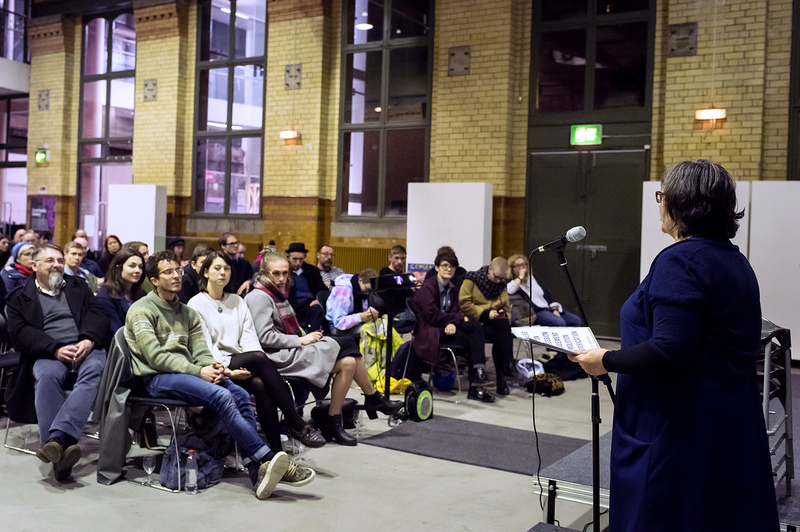 The work considers the issues surrounding social housing in today’s neoliberal economic climate. 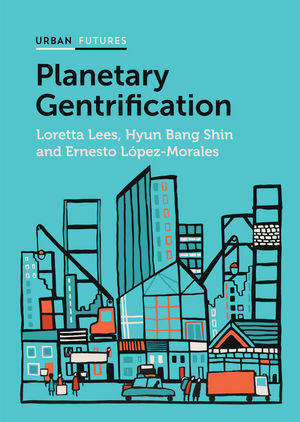 The work ties in with key institute issues around spatial agency and spatial justice for people living in housing estates and in council housing.